Have you ever considered fostering a dog? As a foster owner, you can help homeless dogs without making the long-term commitment of adoption. Here's what you need to know about becoming a foster owner? There are so many dogs in need of homes. Many are euthanized because there is simply no place for them to go. For rescue organizations, foster owners are one of the most valuable resources. Often, rescue groups need foster owners as much as or more than they need donations. Of course, if you cannot foster a pet, your donation will still do much good. Fostering is also a great way to figure out if dog ownership is right for you. As a foster, you can take in all kinds of dogs and learn what kind of dog might be best for you to adopt in the future. You can also find out what types of dogs are definitely NOT right for you! Not everyone is cut out to be a foster owner. Are you willing to spend the extra time necessary to take care of a foster dog? 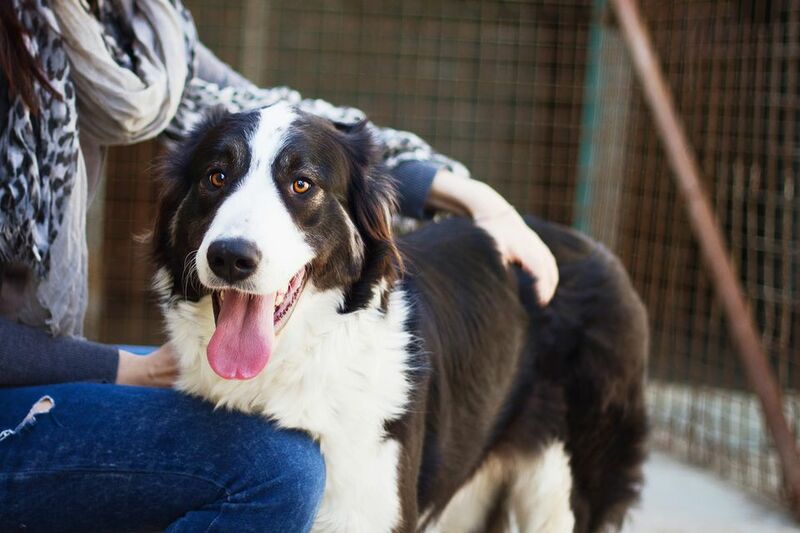 Can you be patient with that foster dog as he adapts to your home? Be certain you can make the time to work on training and socialization so that your foster dog can be adopted out to a forever home. Also, you must consider the impact fostering will have on other people and pets in your home. If you live with other people, make sure the decision to foster is agreed upon by all. If kids live in your home, make sure they know how to behave around dogs. Finally, if you are a dog lover, there is a good chance you will get attached to your foster dog. Are you willing to give up the dog to be adopted? Otherwise, you risk becoming a failed foster (just a term that is used when the foster family adopts their own foster dog). Being a failed foster is not a problem unless it happens over and over, leaving you with too many pets to care for. What Kind of Foster Dog is Best for Your Lifestyle? Before you talk to a rescue organization about becoming a foster owner, you need to know your limitations and availability. Think about what you can and cannot do. If you work long days, fostering a puppy might not be the best thing for you or the puppy. If you cannot provide a lot of exercise (due to time or physical constraints) don't foster a high-energy dog or puppy. A senior dog might be the better choice. If you don't enjoy training, don't foster a dog who needs a lot of one-on-one training and/or socialization. A large or rambunctious dog might not be best if you have a small home with no yard. This also may be problematic if your own dog is older or intolerant of high-energy dogs. If you don't have reliable transportation, you might not be able to foster a dog who needs to be transported to many places (such as adoption events or the vet). A dog that has health issues and needs to see the vet frequently may not be the best choice for you (although some organizations have people to help with transportation). First, choose the pet adoption organization you wish to work with and get in touch. Having trouble finding an organization in your area? Check out Petfinder and search by city, zip code, or group name. Learn more about the groups in your area by asking people about their reputation. People who work in the veterinary and pet care industries are great sources of information. You may also want to read some online reviews, though take what you read with a grain of salt. Once you have selected an organization, you may be able to go on their website to learn all about their foster program. When you're ready to learn more or sign up, contact the organization about what happens next. Before you take on a foster dog, you should learn all you can about the dog. Here are some of the things you should discuss up front. Where did the dog come from? Has he ever lived in a home? Is there a known history of abuse, neglect or trauma? Where has he been since the organization took him in? Has the dog had any health problems? Is he on any medications? A special diet? Has he been crate trained? How does the dog get along with people? Kids? Other dogs? Cats and other pets? Are there any known behavior problems? Does he need training and/or socialization? Will I be expected to provide training for the dog? Will the dog need to be transported anywhere frequently, like the vet or to rescue events? Are there any other special needs? How long does the rescue organization expect me to foster this dog? Who pays for dog food, pet supplies, and veterinary care? Will I need to make a financial commitment? Who should I call if there is a question or concern? Who handles potential adopters and their questions? Who arranges visits with potential adopters? Who screens potential adopters? What happens if I can no longer foster the dog? After you have asked your questions and decided on a foster dog, make sure you have all the information in writing so you can refer back to the information later. You will probably be asked to sign some kind of agreement, which is normal. However, it is not normal for you to be asked to make a large financial commitment. In addition, make sure you have the contact information for several people in the organization. Know who your first point of contact is so you can keep the lines of communication open. Congratulations, you're a foster owner! When you bring your new foster dog home, there will definitely be an adjustment period. It's basically the same as what to expect after adopting a dog. However, if you truly plan to adopt the dog out, then part of your job is to help the foster dog become confident and adaptable without getting too attached. Make sure your new foster dog has a comfortable and safe area where he can retreat if needed. This area might include a crate, dog bed, blankets, and treats. Some dogs will want to hide, sleep or just be alone. Other dogs will be excited about the people and pets, but may wear themselves out and need that safe place later on. From day one, be sure to establish a routine and rules. Feed the dog around the same time each day. If your foster dog is to stay off the furniture, don't make any exceptions in the beginning. Be firm and consistent, yet gentle. Start training right away on basic commands with small, short training sessions so your foster dog can learn words and begin to adjust more easily. Know that your foster dog is bound to have a few quirks and that they might appear early on or over time. The initial adjustment period usually lasts a few weeks (at least). During this time, you might even get frustrated with your foster dog's behavior. Many foster dogs have anxiety and fear, especially if they have never lived indoors in a home environment. Some will act out by barking, being destructive, or even showing some aggression. Some foster dogs are hyperactive and unruly because of pent-up energy that they could not release in a shelter environment. Be patient and consistent. Hopefully, your foster dog will adapt and settle down in a few weeks. On the flip side, your foster dog may be quiet and calm for a few weeks, then start exhibiting undesirable behaviors once he gets more settled in. You might be able to avoid some of this by establishing rules and a routine from day one. When minor behavior problems occur, you need to work on training and socialization so the dog can be adoptable. Major behavior problems may need the attention of a professional. Be sure to report all behavior and health issues to the rescue organization. Eventually, most foster dogs will be adopted out to forever homes. If this happens, you should feel proud of yourself for all the hard work you put in. You've done your job and provided a loving temporary home for a dog. You helped that dog learn how to live as part of a family. But saying goodbye is never easy, especially if you have formed a deep bond with your foster dog. If possible, try to exchange contact information with the adopter so you can follow up on the dog's progress in his new home. This can offer peace of mind when you are missing your temporary companion. In some cases, you might be glad to see the dog go to a new home. There's no shame in that! Not all dogs will fit in with all families, and that's the beauty of fostering: it's not permanent. Hopefully, everything will work out with the dog's new home. However, be aware that sometime adopters will return a dog for one reason or another. If this happens, the pet adoption organization may or may not ask you to foster that dog again. If they do ask, there is certainly no obligation to take back the foster dog. However, if you did fall in love with your foster dog, then getting him back might lead to a permanent arrangement. What If You Become a Failed Foster? Ok, so you couldn't say goodbye. Congratulations on your newly adopted dog! Many people get so attached to their foster dogs that they decide to adopt them permanently. Just try not to make a habit out of being a foster failure, or you might find yourself drowning in dogs!